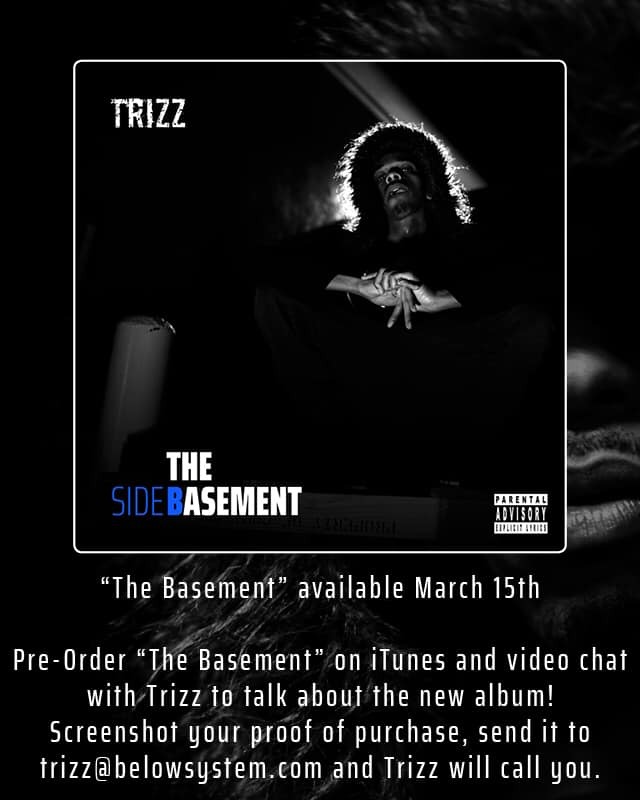 Radio420™: Trizz Set To Release “The Basement” LP Next Friday, March 15th; Preorders Now Available! Trizz Set To Release “The Basement” LP Next Friday, March 15th; Preorders Now Available! We just got word that 2016 Faygoluvers Break Out Artist Of The Year winner, Trizz aka Baby Ripgut just dropped info across social media that his next next release titled “The Basement” is now available for preorder and will be officially dropping next Friday, March 15th. What’s even more fresh ninjas is the fact that if you preorder “The Basement” on Itunes and send Trizz an email at trizz@belowsystem.com with the screenshot regarding your proof of purchase of “The Basement” on Itunes, Trizz will personally call fans via video chat and talk to them exclusively about the record! How fresh is that?! Preorder “The Basement” here: http://smarturl.it/TrizzTheBasement?fbclid=IwAR2mV4Gc8YsutK9gsXqx90y7J-T0pWK1AhL4r7okSir61HHOARTv50YlQ84 and get some hip-hop you can relate to in your life, son!